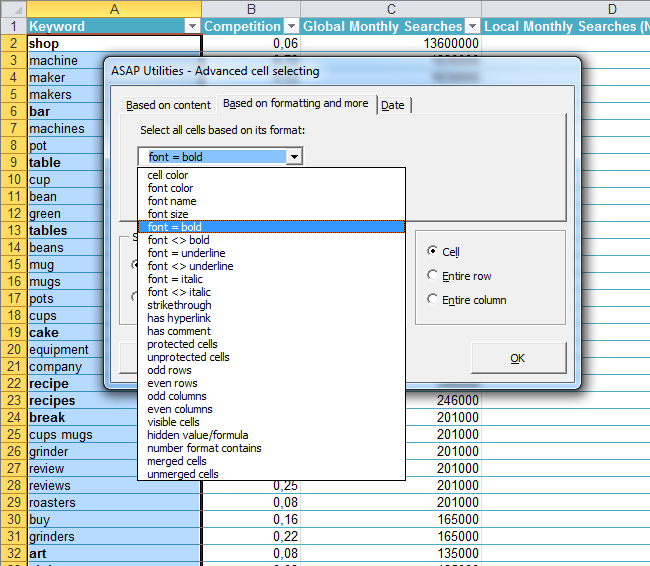 ASAP Utilities for Excel – Blog » Tip: Select cells automatically based on their contents, formatting, etc. Quickly select certain cells automatically? A few examples where this can come in handy. You've received a file and all the cells that have been marked with strikethrough need to be removed. All the cells that are marked bold need to be copied to another workbook. Select and delete all cells with a specific font color? Select all cells that are not empty. Select cells with a certain text length. 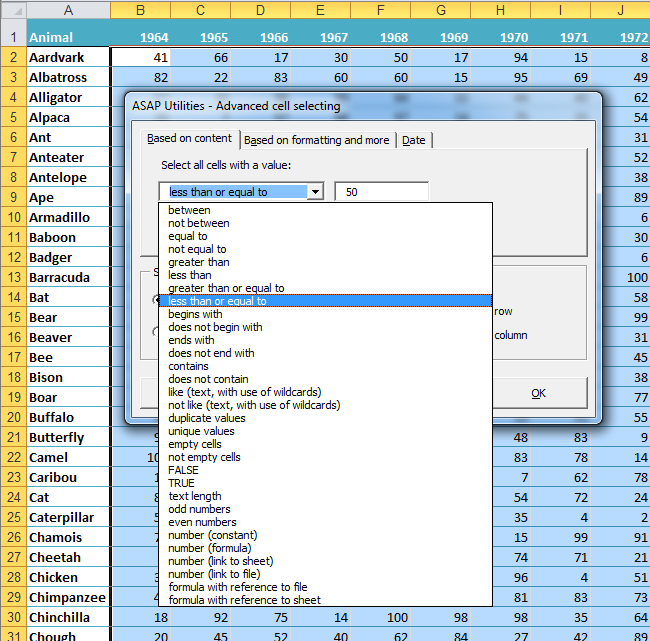 For example if you are preparing data for a database and need to find which values have a length of more than 250 characters, you can use this utility and choose "Text Length" in the "Based on content" tab and enter >250. With this option you can enter a number but also the < and > sign. Select only the odd or even rows or columns. Quickly find/select all merged cells. 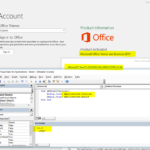 Select only the cells with a certain date, month, day, weekday or year or within a certain period. Quickly select all unprotected cells in your template, so that you can color them to make it easy to fill in for the end-user. Select all cells that contain or do not contain a certain value or keyword. Then after the cells are selected you can do anything with them, such as editing their values, giving a color, clear them or copy them. This is often a quicker alternative for the default method that Excel offers such as this one, this one or this one. It's guaranteed that you'll save yourself time and effort by using this tool. 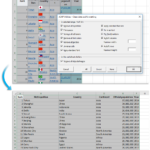 However, the actual time saved depends on much you use Excel, the amount of data you're working with and how often you use this particular tool. Filed under: ASAP Utilities, how to with ASAP Utilities, save 5 more minutes a day on November 20th, 2012 by Bastien | Comments Off on Tip: Select cells automatically based on their contents, formatting, etc.